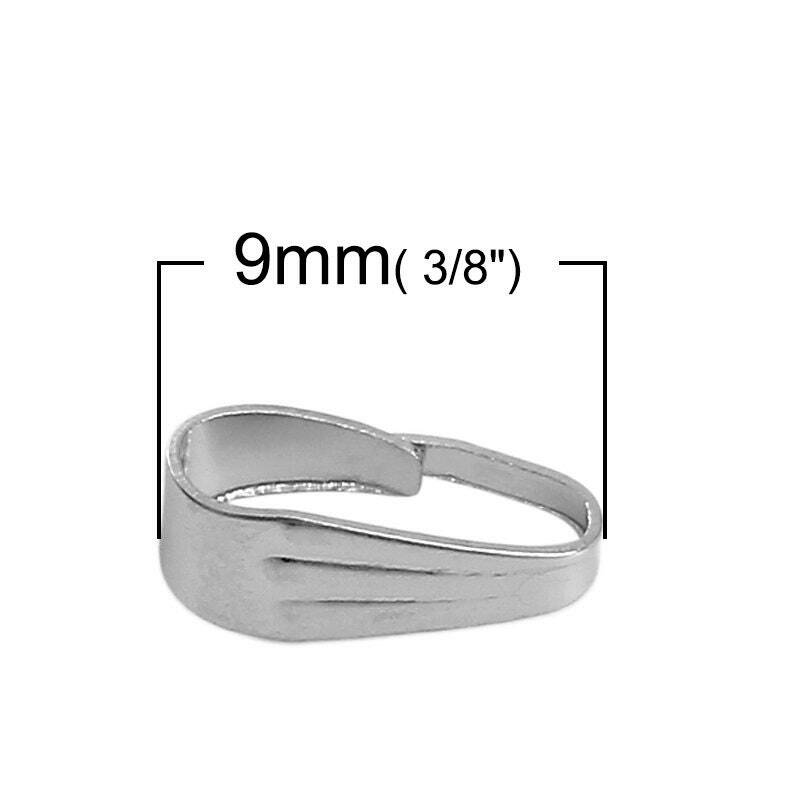 50 silver tone steel pinch pendant bail, 10mm x 4mm. 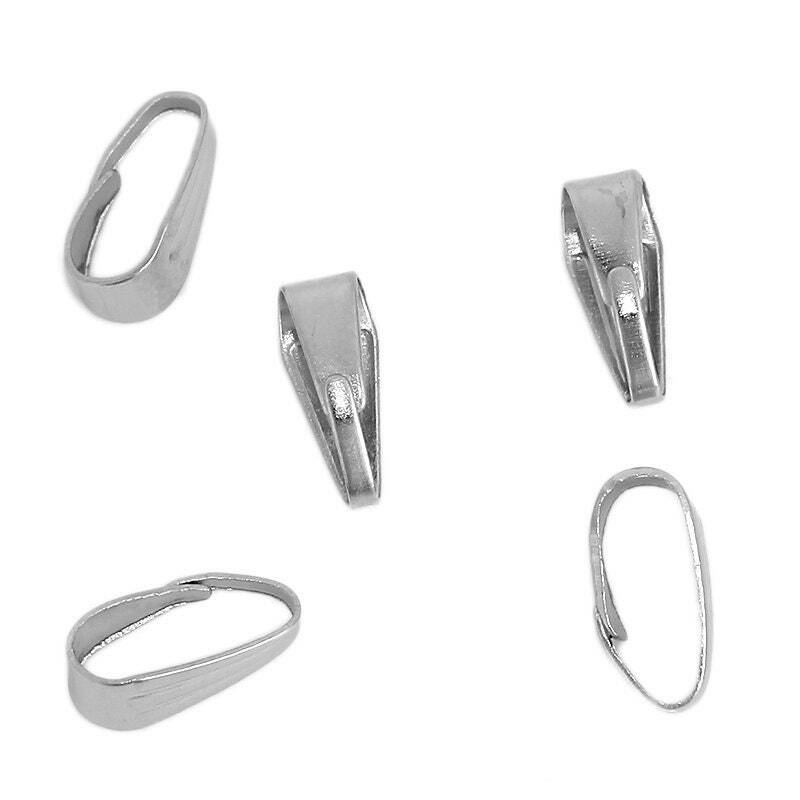 When your pendant or drop already has a jumpring, use these bails to attach the chain. As pictured and shipped right away! Will buy from again! Thank you! A+++ Super! I love the quality of these bails... exactly what I was looking for. 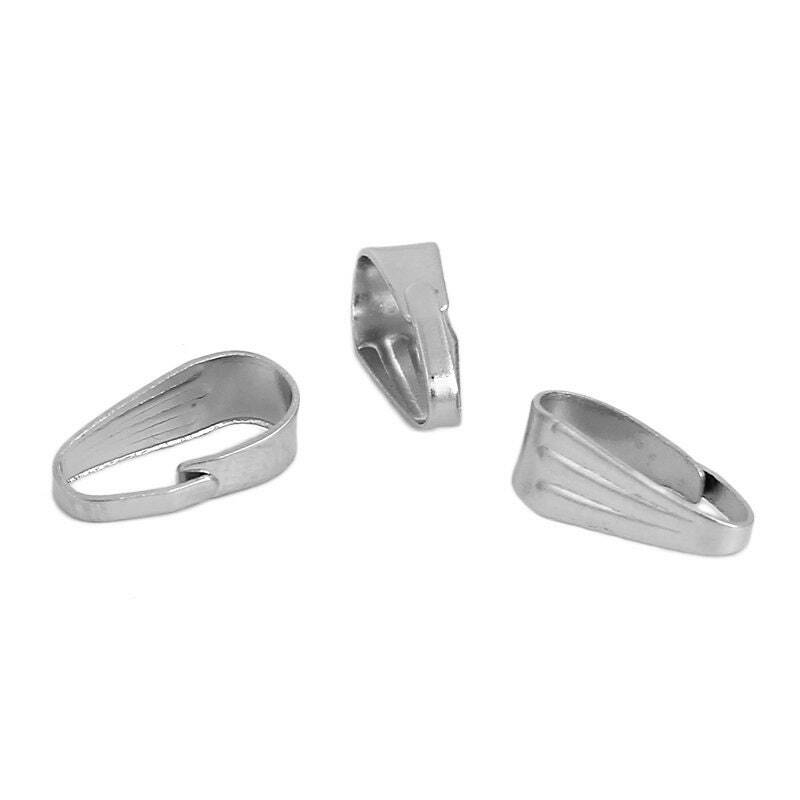 Very professional packaging and extremely fast shipping! Thanks so much! !